Winter outdoor fun in Branson can still be enjoyed by many visitors even if it’s freezing outside as there are many attractions that offer tons of indoor and outdoor activities for families to enjoy winter. Spending a wonderful vacation in Branson with the whole family during winter season doesn’t mean you have to stay inside your accommodation most of the time. There are several family friendly attractions in Branson that remain open during the cold days such as the Silver Dollar City, Talking Rocks Cavern, Butterfly Palace, and Titanic Museum. Silver Dollar City in Branson is a place where family friendly activities abound even during cold season. When it comes to phenomenal and world-class theme parks, nothing can compare Silver Dollar City. The exciting activities that you can enjoy here include live music, thrilling rides, demonstrating craftsmen, incredible food, shopping opportunities, amusements for children, seasonal and themed festivals and events, and that’s not all you’ll find at this sensational award-winning theme park. The Amusement Today have voted Silver Dollar City’s wood roller coaster as the Best New Ride of 2013, the breathtaking and record-breaking Outlaw Run. If you want to experience dizzying effects that can turn your world upside down, visit the mystifying rooms with slanting floors, mirrored walls of Grandfather’s Mansion. If you want to enjoy more heart-pumping experience, get down nearly 500 feet into an ancient Marvel Cave where you’ll see the magical Cathedral Room, and listen to an experienced guide share historical information and fascinating stories about the cave. If you don’t want to go far, you can enjoy your time inside the park by listening to Cedric Benoit and his Cajun Connection Band as they share the best of that unique Southern Louisiana music. You’re sure to be amazed as you see the world renowned Harlem Globetrotters perform astonishing basketball skills. There are also eateries inside the park where you can eat until you burst. Some of the delicious food that you can enjoy here include iron-skillet-fried calico potatoes; barbecue pulled-pork sandwiches; popped and sweetened on-site kettle corn; fluffy, powdered sugar-dusted funnel cake; steaming hot succotash and sausage; and even kid-friendly fare like pizza, hot dogs, and chicken tenders. Talking Rocks Cavern is another great place to enjoy winter outdoor fun in Branson. If you want to escape winter weather, you can head underground of this majestic cave. With features of tour guides, mini golf, a rock shop, and gemstone mining, this is the place to go on a warm’s winter’s day. You will learn things about the geologic history of the Ozarks and you will see the critters that call the caves home. Open year-round, Talking Rocks Cavern is ideal for explorers who’ve been longing to see what’s inside the cave. This wonder of nature features a comfortable 62 degrees all year long. The cave also features educational tours, a SpeleoBox crawl maze, a lookout tower, nature trails, picnic areas, gemstone mining, and more. Branson’s “Butterfly Palace and Rainforest Adventure” is another fascinating interactive attraction that offers Mother Nature’s wildlife environment up close for all visitors to enjoy. With features of many different areas to explore, the Butterfly Palace has so much more than those little stunningly beautiful, fluttering creatures. You’ll get to see inside the palace a blue-eyed skink, fascinating tree frogs, gorgeous birds, and geckos. You’ll also be fascinated by all the lush greenery and the exquisite flower beds around the garden. Once you are inside the facility, you’ll certainly want to take advantage of each unique area of the Butterfly Palace, so allow more time to guide yourself through. There are helpful staff members throughout the place to assist you and answer questions that you need to ask. The facility features Rainforest Theater that provides a little education along with a whole lot of entertainment on its 45 minute documentary about the fascinating Monarch butterfly, as well as a 15 minute 3-D film on the life of a butterfly. You can also watch a video that tells all about one of the butterfly farms in Costa Rica where some of the butterflies come from there. The Butterfly Palace also features Butterfly Aviary which is beautifully filled with lush greenery, tropical plant life, and beautiful birds, with colorful butterflies flitting and flying about; it’s common for one of these beautiful creatures to rest on you. You’ll find also inside the facility Emerald Forest Mirror Maze that will have you questioning where’s the right direction as you wind your way through; this is a maze that replicates what it’s like under the thick canopy of tropical growth in the rainforest. There’s also the Living Rainforest Adventure where you’ll discover all sorts of critters, like giant cockroaches, poison dart frogs, salamanders, and chameleons. You’ll also see the Banyan Tree Adventure, where you’ll find the Magic Pond, and you can climb all around the twisted roots of an authentic-looking replica of India’s national tree, the Banyan. 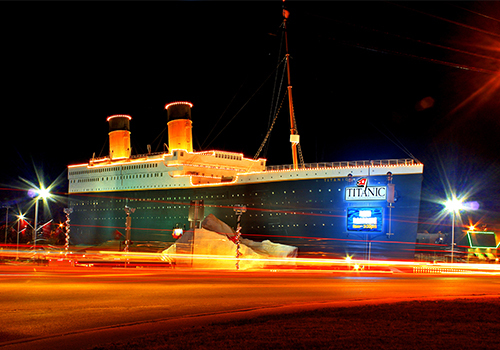 The “Titanic Museum Attraction” in Branson is always included in the list of favorite places to visit. Now celebrating its tenth year, Titanic Museum is not simply a museum, it’s an interactive attraction that shares the stories of those who were onboard the famous ocean liner that has baffled the world for more than a century. Those who lost their lives, as well as those who survived, are memorialized in the displays, special events, and holiday celebrations held throughout the year. The museum offers a wonderful two-hour tour which includes walk-through interactive experience for the whole family. It’s entertaining and educational and features everything from authentic artifacts to news coverage from the time of disaster, to personal items from families and loved ones of those who were aboard the popularly known ocean liner RMS Titanic as unsinkable. Guests are given the chance to play the Titanic Baby Grand Piano, dip a finger of an 28 degree water and touch a real iceberg. The “Titanic Museum Attractions” gave honor to the 20th Anniversary this year of the Academy Award-winning movie Titanic with costumes from the movie that were on display from March to June, 2017. There’s always a good reason to visit the “Titanic Museum Attraction” at any time of year, but it’s more enjoyable during the Christmas and Winter Celebration during the months of November and December when the ship glows with dazzling lights and holiday cheer. No matter what time of year you want to enjoy winter outdoor fun in Branson at the fascinating Titanic Museum, you’re sure to enjoy your time on the most famous ship ever to sail the ocean. 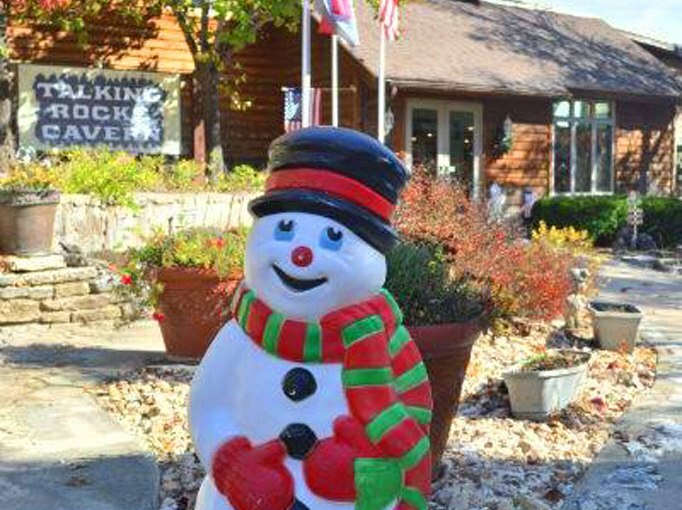 Winter outdoor fun in Branson won’t stop even if it’s freezing outside because there are still many attractions that remain open.